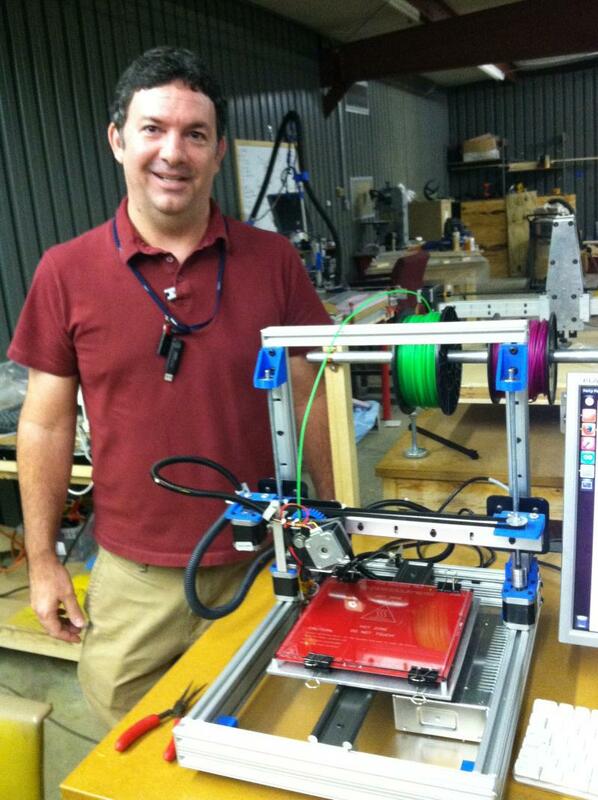 Computer Engineer with Technology Services Group Mark Trombly next to a 3D printer he made. He's the top 3D printing expert at Making Awesome in Tallahassee, community of people who share tools, materials and their talents. 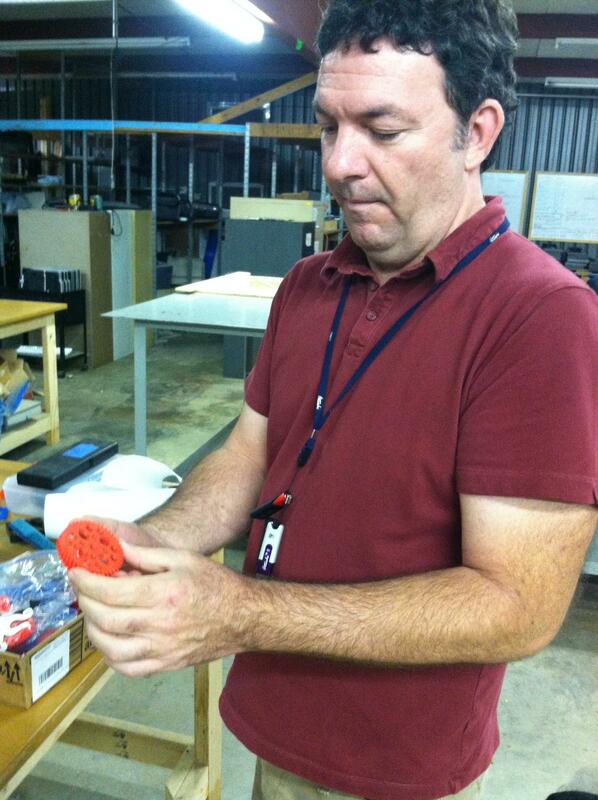 Computer Engineer Mark Trombly showing off some of the gears he's made from thermoplastic materials. The Nautilus Gear that can be downloaded and printed from websites, like thingiverse.com. The finished printed product of a 3D printer that Computer Engineer Mark Trombly made. The 16 pieces of Defense Distributed's printed handgun, including spiral springs for its hammer mechanism and a nail used as its firing pin. Cody Wilson is the company's founder, and his model has been downloaded more than 100,000 times, according to ATF. 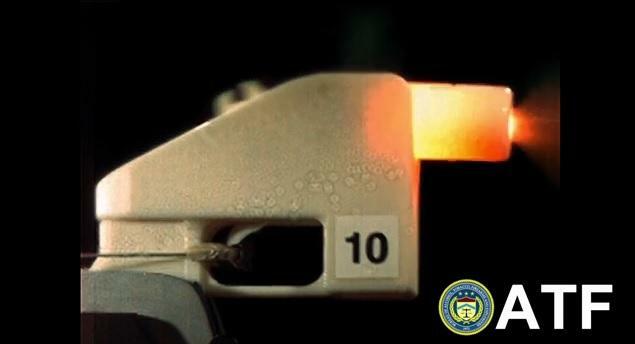 The Bureau of Alcohol, Tobacco, Firearms and Explosives (ATF) tested the use of 3-D printing technology in the making of firearms. This test focused on Cody Wilson's Liberator design. “A lot is unknown at this time, but it was estimated that the individual, Cody Wilson, who printed and tested his 3D printer firearm model called the Liberator that his technical specs were downloaded by over 100,000 people,” said Amon. 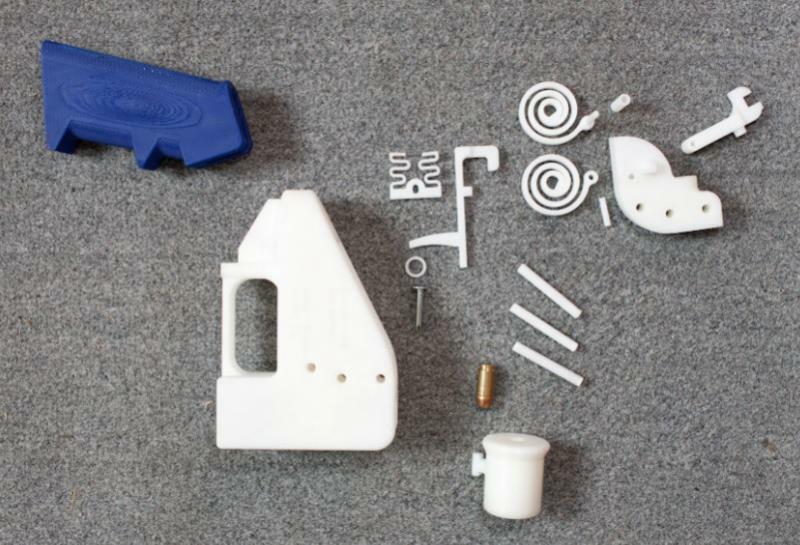 The ATF has tested two 3D printed firearms, using two types of plastic. Amon says the first demo showed the gun exploding upon firing. ”The first one we used came from a family of plastics [called VisiJet material] that had less integrity and less strength. So, that represents a public safety risk in itself that you might have these firearms that someone may print potentially that may literally blow up in your hand if you don’t do it correctly,” said Amon. Then, basing the second gun off Wilson’s model and using a different plastic-like material called ABS, the weapon was able to fire. Amon says the issue with that model is its detectability by a metal detector. It’s against federal law right now, but in a few weeks that may not matter. “In the case of the one that did function, as it stands now, it has to have that certain amount of metal to comply with the Undetectable Firearms Act. However, that law is up for expiration up in December. So, conceivably, you could manufacture these firearms without the metal. Therefore, in certain metal detectors, they would be undetectable, and you could fit these into courthouses, airports, and other places where large numbers of the public gather,” added Amon. That’s why several Democrats, including Florida Senator Bill Nelson, want to extend the longtime ban, passed in the 1980s. “And, that’s why we filed legislation in the Senate to ban any weapon that is not recognized by a metal detector or an X-ray machine. Obviously, weapons like this pose a very serious threat to our National Security and our personal safety, and we need to be doing everything we can to keep them off the streets,” said Nelson, in a recently released video. 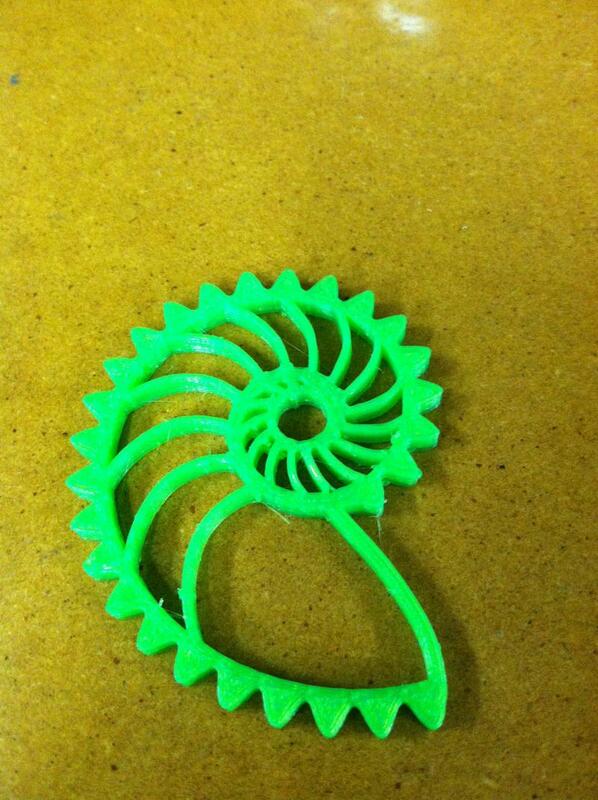 The finished product of the Nautilus Gear made from PLA, a starch and a thermoplastic material. Inside a Tallahassee shop called Making Awesome, there’s a 3D printer at work making a gear called a 'Nautilus gear'– a common shape used to show off a 3D printer’s skills. Making Awesome is a place where people can share and learn about different technology, including electronics, robotics, and 3D printing. Its top 3D printing expert is Computer Engineer with Technology Services Group Mark Trombly, who’s says there's a number of different uses for 3D printing. “There will be things about body parts, motorcycle parts, clothing…Here’s a 3D human printed liver, arms, or helping arms, supporting things to help kids that had problems with their muscles or bones and they’d use it in developing countries because they’re inexpensive and use it for something positive,” said Trombly. Trombly, who built his own 3D printers from scratch, says the tech actually blossomed around the time the Undetectable Firearms Act was signed. Today the technology is cheaper, with most printer kits costing between $300 and $3,000, and it’s more accessible at home, which Trombly says is what might trouble law enforcement about plastic guns. “So, now you can purchase a kit and purchase the materials and do it at your house. You don’t have to send it out to anyone else. When you have a company doing it, the government can control and say ‘oh, it’s illegal to do this and you’re going to have a problem doing this.’ Now, you’re getting it to your level and I think that’s where the concern is right now with people deciding to go around that process,” said Trombly. Florida Public Radio placed multiple calls to The National Rifle Association seeking comment, but got no answer on the organization’s stance on plastic firearms. Still, even if someone owns the hardware to make a plastic gun, Trombly says they can’t just print one. Each part must be manufactured individually. "Yeah, so there’s some assembly required," he said. "These are the springs that would activate the firing pin. This would push against—in this case, the nail, and the little .22 bullet that sits into the cartridge there." "And, if we could find a model, we could sit right here, and start printing." Trombly says he’s never printed a gun, and he doesn’t want to start now, though it’s not like he’s never gotten any offers. Meanwhile, the federal ban on undetectable firearms has been extended several times before, but it’s unknown whether Congress will extend the ban again set to expire December 9th.